This is the reason I have been running around like a headless chicken the past week and I foresee the next 9 days. It's been challenging preparing the presentation for this talk (should I say this or that? tell this joke or not at all?) and trying out a few hacks to see which will work. 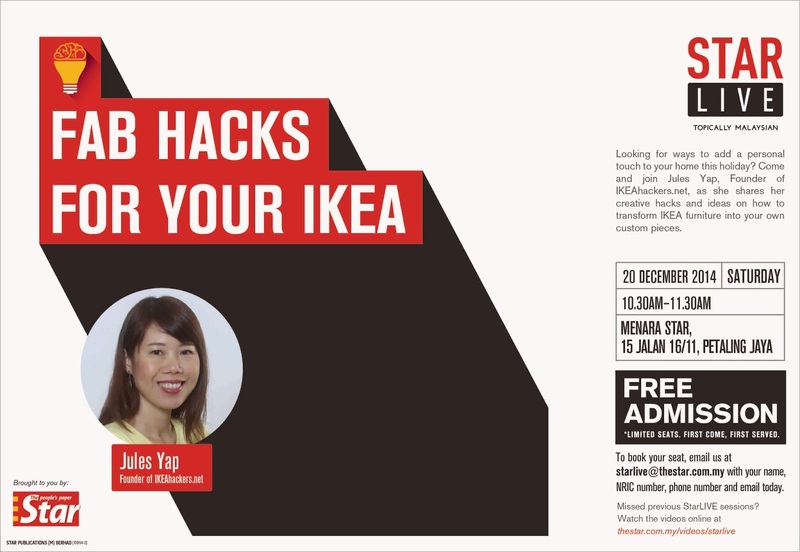 I will be sharing the story of IKEAhackers and there will be 2 hack demos at the end too. It should be fun, if you like to kick off your weekend listening to the whirr of drills and firing a glue gun. If you are available, do come and join me at Menara Star, Petaling Jaya. Admission is free but registration required. Here's a itty bitty write-up on it. See you there! To book your seat, email [email protected] with your name, NRIC number, phone number and email. The new site is terrible. It just keeps scrolling and sceprolling. I can't find hacks by category. I was a long time fan, but now I'm signing off. Farewell, hackers. I'm sure we will congregate again on some better site that's not trying to score a buck on us. Hi Sally, thanks for your feedback. Yes I was doing some tests on layouts with a company that automatically serves up different layouts in order to find the best one. Some of them were not very good and I personally cringed too. So I have called off the tests and I regret taking so long (the tests ran for 10 days) to pull the plug on the tests. I feel sad to see you go but you are always welcome to drop by again when you feel like it (and my site is .. erm... less ugly). 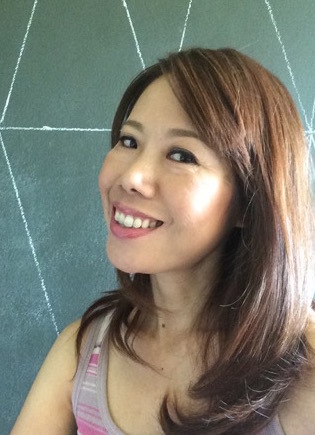 Hi Jules, love your site, been a big fan of IKEA hacking for a long time, hope your talk goes well!